Today we began our new 5-day reading plan in the Genesis 36. This chapter goes through the descendants of Esau. Yes, another genealogy listing...but wait...please stay with me. We have a tendency to quickly skim over genealogies, but as I showed you in my post, Finding the Gospel in the Book of Genesis, we must be careful not to do this because if we do we just might miss something very special God has for us. That's what I discovered in Genesis 5 and now here in Genesis 36 it's just the same. The special lesson God has for us in Genesis 36 is right at the beginning - in verse 2. In taking wives from the women of Canaan, Esau was rebelling against his parents and against God. These women did not worship God, yet he took them as his wives. This gives us another glimpse into the character of Esau and the lack of spiritual obedience in his life. The decisions we make as Christians should confirm that we belong to God. We need to give thought as to how our decisions will affect those in our lives that we love. Most of all, we should filter all of our decisions against what God says to us in how we should be living our lives. The only way we can do this is to be in His Word so that we can know His heart for our lives. That's why I'm so thankful for this opportunity to read through the Bible with the Good Morning Girls. Are you still reading along with me? Do you long to filter your decisions through the lens of God's Word? Please join me in the discussion in the comments below. You are in my thoughts and prayers! I'd like to close with my prayer from today's study. Heavenly Father, I pray that the decisions I make will confirm that I belong to You. You’ve told me that Your Word is a lamp for my feet and a light for my path – I pray that I would use it as such when making decisions. I pray that I will be led by the truth and direction of Your Holy Word. Help me to hide Your Word in my heart so that I might not sin against You. In the loving name of Jesus I pray. Amen! Here's our reading plan for the rest of this week. 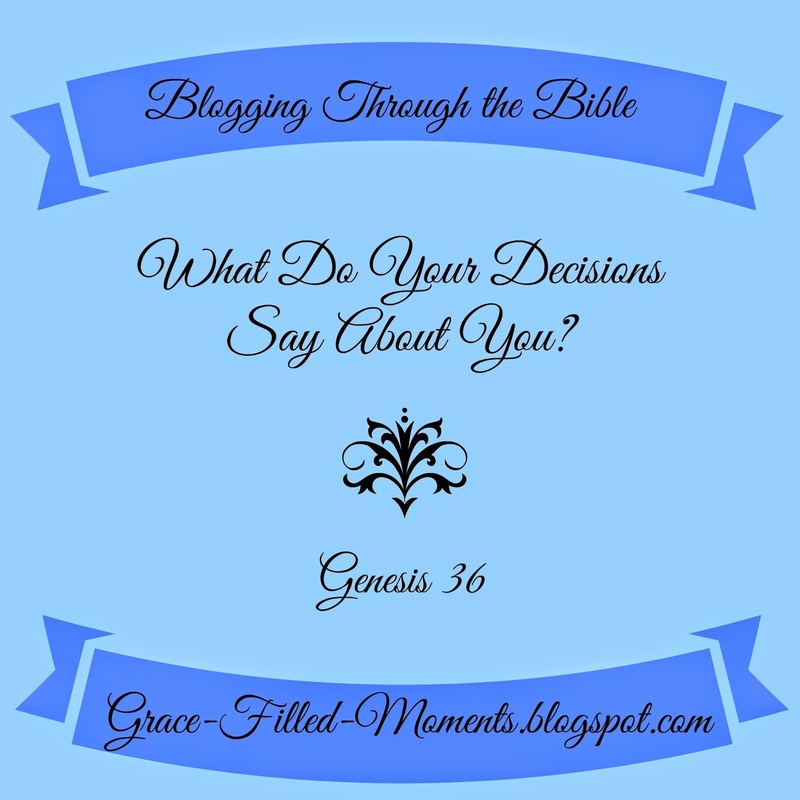 I'll see you here again on Wednesday for another Blogging Through the Bible post!